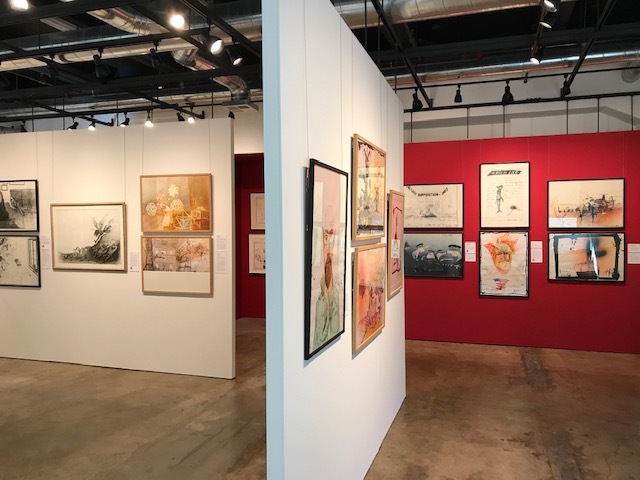 Originally Curated by Anita O'Brien and Chris Miles, the Ralph Steadman Retrospective offer phenomenal insights into the genius of one of the worlds most acclaimed artists. 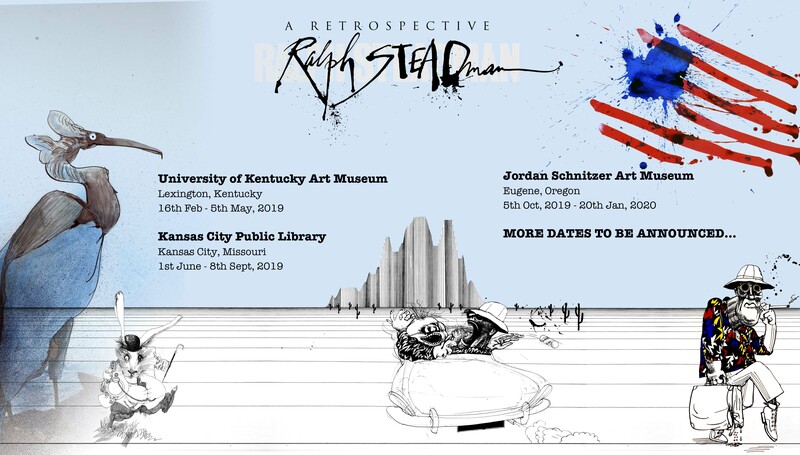 This exhibition takes the viewer on a journey through Steadman's prolific career of more than 60 years. 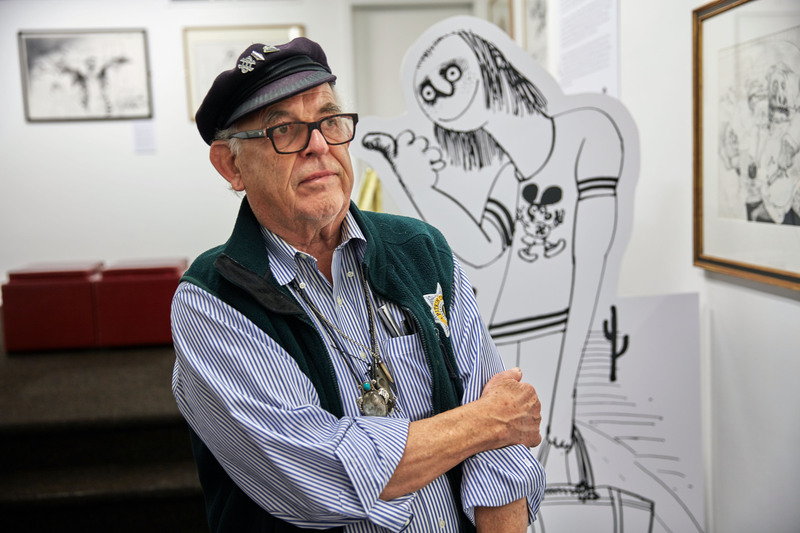 Starting with drawing he created as a student, to his first published cartoon through to new and current artworks, the viewer will experience key artworks in his career. 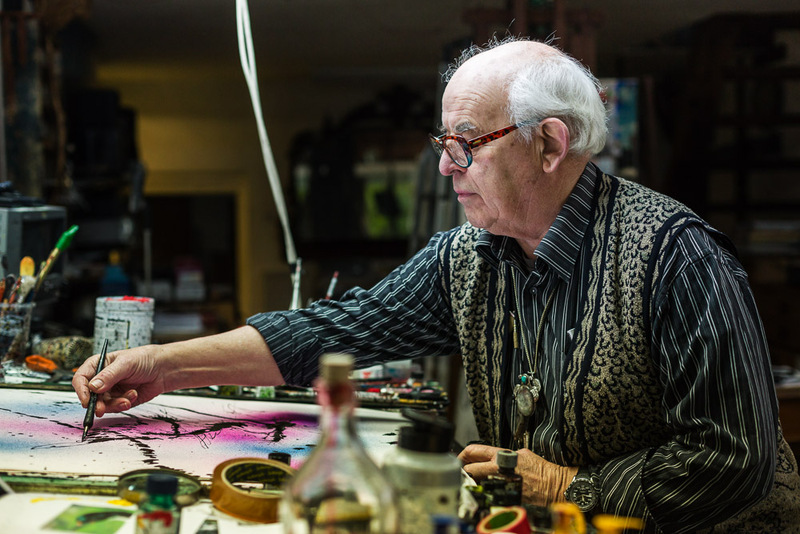 Ralph Steadman's art continues to influence artists and fascinate people around the world. His career spans 60 years, starting in the 1950's working as a political cartoonist for publications like the Manchester Evening Chronicle, the Aberdeen Press and Journal and then in the 1960's at Private Eye and Punch Magazines. In 1970 he met Hunter S. Thompson and created the iconic artwork for the an article for Scanlans's Magazine about the Kentucky Derby and Gonzo Journalism was born. He has illustrated classics like Alice in Wonderland and Treasure Island, written and illustrated books such as I Leonardo and The Big I Am. His unique and Savage style are still sought after today, from the makers of Breaking Bad to the poster artwork for Louis Theroux's, My Scientology Movie and his own books and projects. 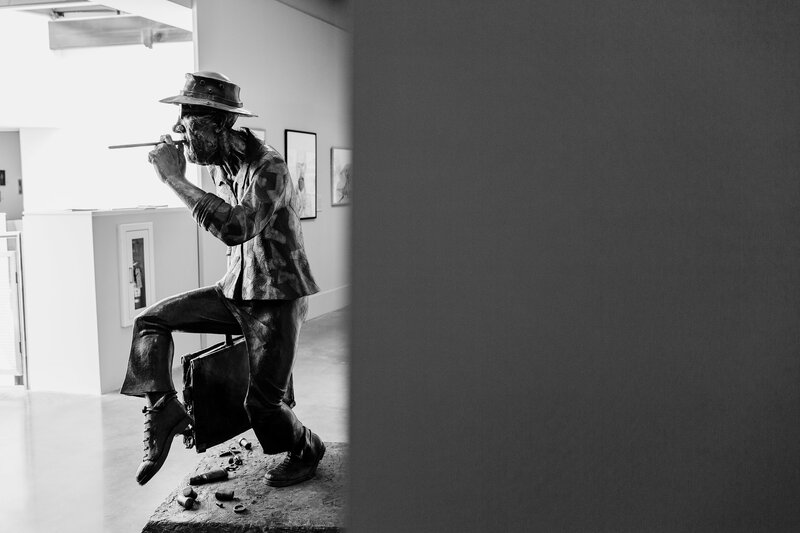 The exhibition will amaze and inspire both the uninitiated and the die-hard fans. As Hunter advised, "Buy the ticket, take the ride". Audible have created an immersive and engrossing app to accompany the retrospective featuring the voices of Ralph himself, Tim Robbins and Anita O'Brien. 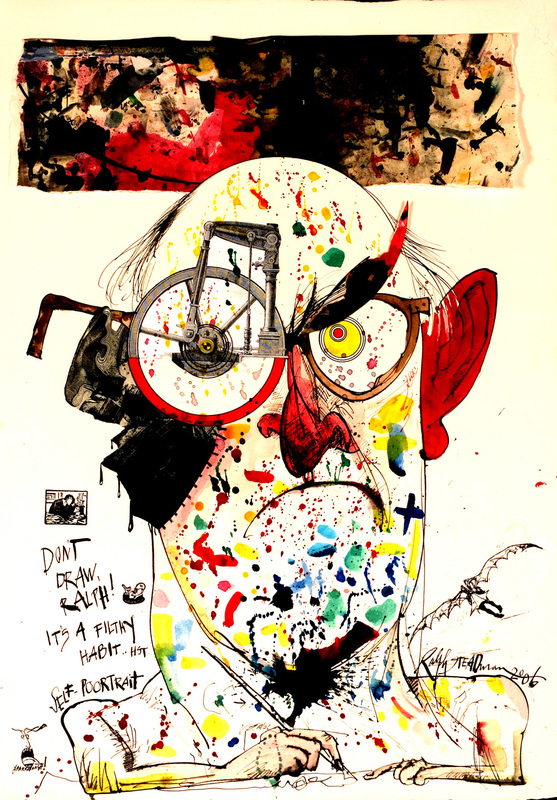 Search "Ralph Steadman Audio Guide" in the App Store to download the free guide.